My Nintendo, Nintendo’s rewards program, has added new rewards to the catalog to celebrate the launch of Super Mario Party. 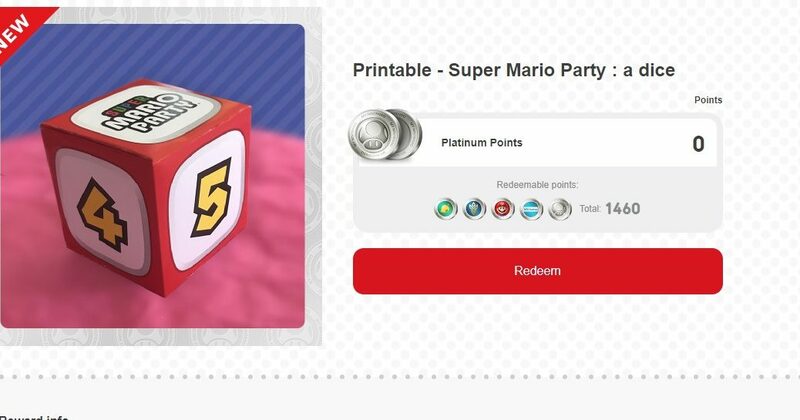 You can now spend your hard earned Platinum Points on a printable Dice Block or Party Hats featuring Luigi, Mario, Bowser, Peach, and a logo. Also available is a smartphone/PC wallpaper. The Dice Block is free for everyone, while the party hats and wallpaper cost 30 and 50 Platinum Points respectively. Redeem the Super Mario Party goodies on My Nintendo here.